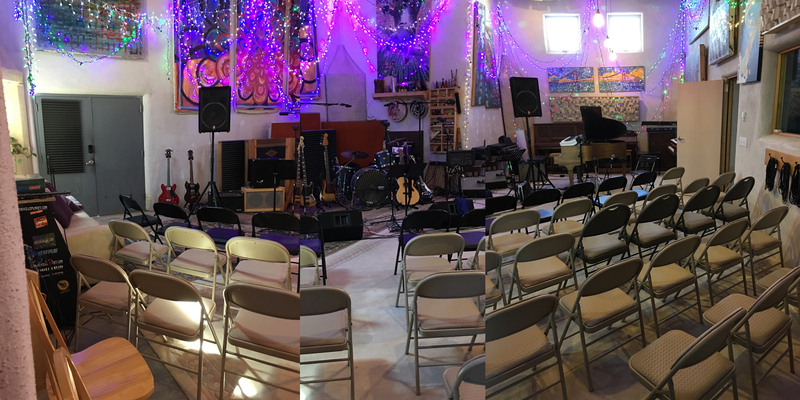 Frogville has had great success with our studio house concerts for 35-40 fan ticket holders in the great big room and record it all. We have parking for up to 30 cars on site and we do ticket sales through Brown Paper tickets and we encourage carpooling. 30 days advance booking required. Seating available for 40-45 for an intimate and unique recording experience for everyone involved. suggested ticket prices vary from 20.00-30.00 up to as much as 50.00-75.00 depending on options. Frogville splits the take 50/50 with Band to cover costs of event/recording. Food / Catering / Bar / Bartending / early Meet n Greets, anything above and beyond available but also increases ticket costs. soon we hope to add multiple cameras and live broadcast capabilities. Studio quality multitrack with live audience energy all at the magic spot on top of the hill.